It was a Saturday night, I had a lot of work ahead of me, an empty refrigerator and a bottle of red wine. 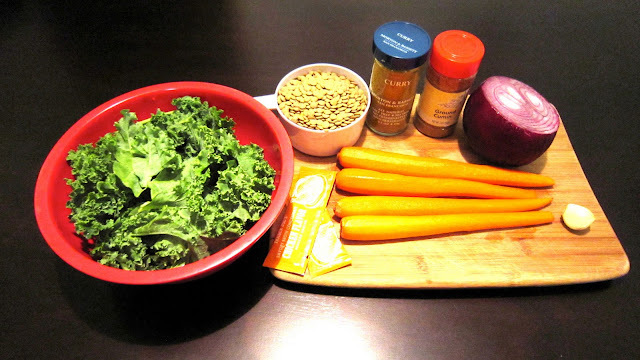 Noticing that I had some organic Kale that I wanted to use before it went bad and a bag of lentils, I decided to play a little recipe roulette and Googled 'Kale+Lentils' and came up with this recipe for Savory Kale and Lentil Soup from Suite 101. I made a couple of modifications as I went along, they are listed below. 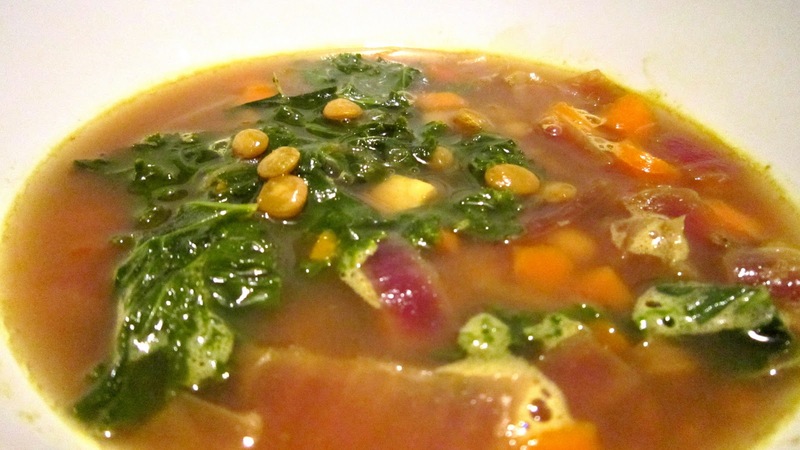 This soup is very hearty (a little bowl goes a long way) and I felt that, as suggested, should be served with garlic bread or croutons to add a little more flavor and variety in textures. I also added some shredded parmesan. Bon Appetit! 1. 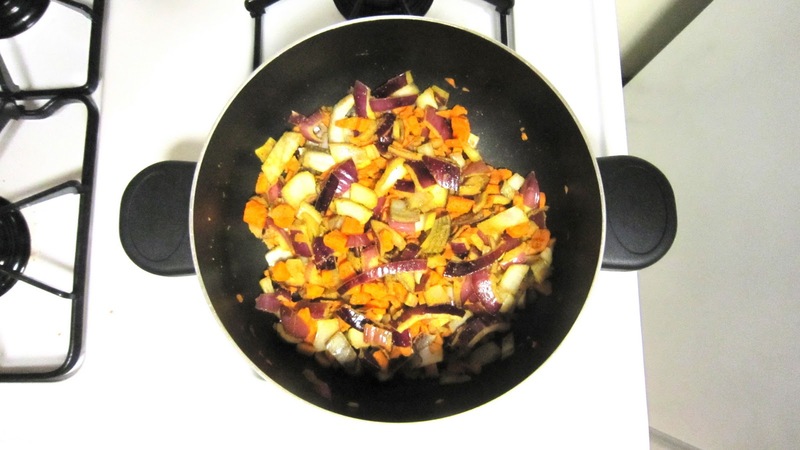 Coarsely chop carrots, onion and garlic. 2. Heat 1 Tblsp of olive or other vegetable oil in a large soup pot. 3. Saute chopped carrots, onions and garlic in the oil. 4. Mix in cumin and curry. 5. 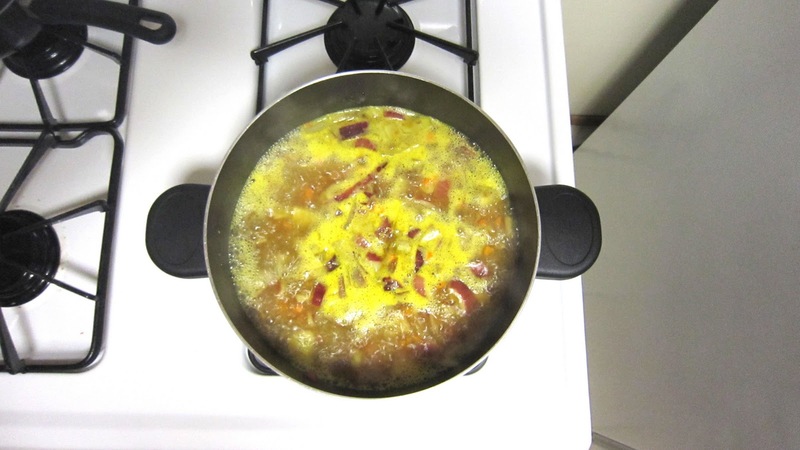 Once the carrots and onion are tender (the onions will start to become translucent) add in vegetable or chicken broth. 6. Bring broth to a slight boil and turn down to a simmer. 7. Add in lentils and let simmer for approx 5-10 minutes. 8. 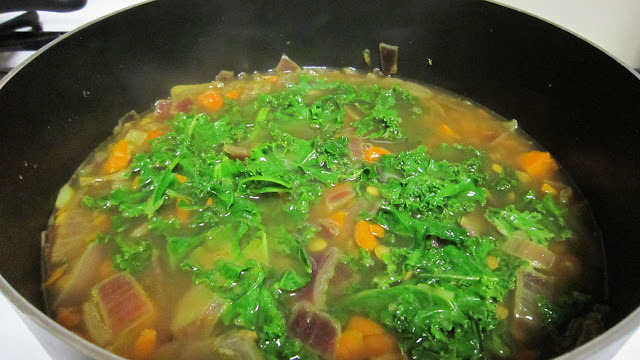 Add coarsely (or finely, if you prefer) chopped kale to the broth. 9. Let simmer covered for another 20-25 minutes or until kale is tender and lentils have turned golden and soft. 10. 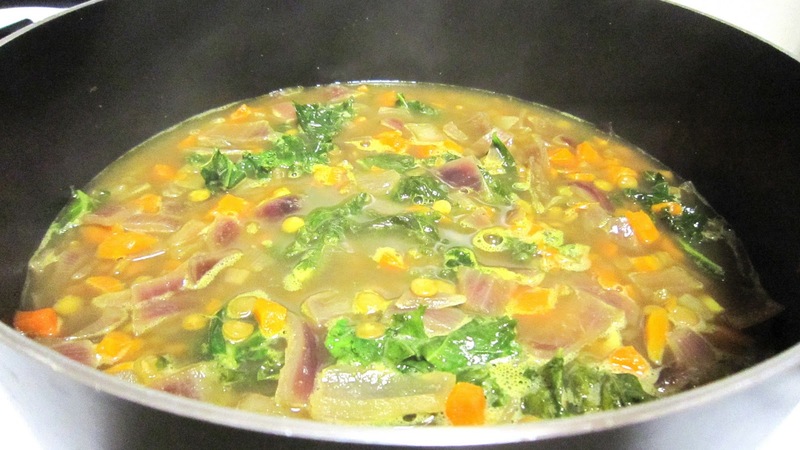 Once kale is tender and lentils have turned golden then the soup is ready to enjoy. 11. Season soup with salt, pepper, and garlic to taste. 12. Serve the soup alone or with crunchy garlic croutons or garlic bread. Wood, R. (1999). The new whole foods encyclopedia: A comprehensive resource for healthy eating. New York: Penguin Books.